At Montana State University, in Bozeman, dining services’ local purchasing program, called Montana Made, now purchases 23% of its products locally. Anna Diffenderfer, Montana Made program coordinator, says the program uses several tactics to achieve that number. The Montana Made program first got started as a result of increased demand from students and local producers, says Diffenderfer. It officially began in 2006 with some AmeriCorps VISTA employees. Now the program is a student position, but the department is looking into turning it into a full-time position with foodservices. 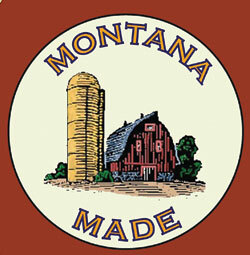 Local for Montana Made means the item is produced and processed within the state of Montana. In addition, during Earth Week, the department offers a special breakfast, lunch and dinner composed solely of Montana Made items. One new initiative for the program is its partnership with the student farm, which is bringing locally grown produce into the dining halls. “About this time last year we got together with some of the buyers for MSU and the managers of the farm to talk about products that would be good places to start, with the idea of creating the system, working through the kinks, getting the ordering and delivery packaging and all of that down so that the farm can pass that on to other local produce growers,” Diffenderfer says. The biggest challenge for the program has been finding the quantities that the department requires while not having to order from multiple vendors. Diffenderfer says the department hopes that the producers in the area will form some sort co-op or an aggregation where they can compile all their produce and make it easier for the university to purchase. Diffenderfer says flexibility and patience are important when working on a local purchasing program.